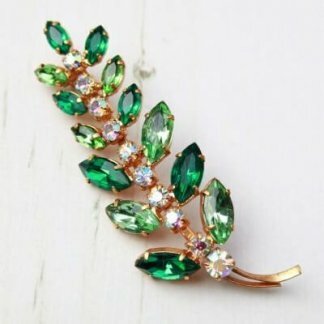 However featuring an array of colourful rhinestones, in bold shades of blue, purple and green. Measuring 6cm at tallest point, complete with a strong roll lock clasp to the back. 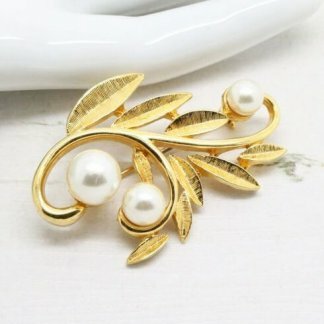 The brooch is in good condition, showing slight to no wear. 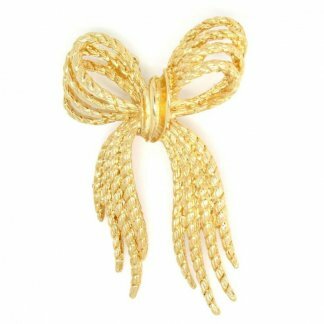 Add a dash of colour to any outfit or jewellery collection with this delightful gold plated brooch.